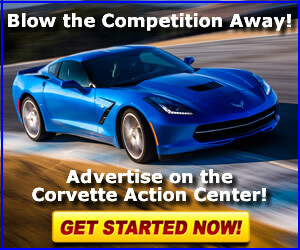 While you can't drive your newly delivered Corvette on track until you've accrued the break-in miles, we have an alternative for our R8C customers.. drive one of OUR Corvettes on track! New for the 2018 model year we are offering R8C customers the chance to take some touring laps at the NCM Motorsports Park as part of their delivery. The laps in our Corvette have a $199 value and are offered based on weather, track and car availability. 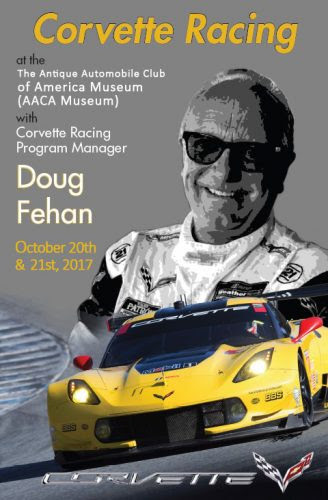 This fall, Corvette Racing enthusiasts on both ends of the United States will have an opportunity to enjoy an event with representatives from the Corvette Racing team while supporting a great cause - your favorite car museum! Saturday, September 23 join Corvette Chief Engineer Tadge Juechter, Corvette Plant Manager Kai Spande, Program Engineering Manager Phil Minch and Corvette Racing Program Manager Doug Fehan for dinner and an engaging program. The event is at the Embassay Suites in Monterey Bay Seaside, CA. Tickets are $62 per person. Friday and Saturday, October 20-21, join Doug Fehan, Driver Tommy Milner, Kai Spande, former driver Andy Pilgrim and many others for a weekend that includes a banquet, auction, seminars, displays, autograph session and more. The event will be in Hershey, PA at the Antique Automobile Club of America Museum. Chose between a Friday/Saturday ticket for $65 (including banquet) or Saturday only for $25. Congratulations to Mark OLaughlin of Arvada, CO - winner of our 2017 Watkins Glen Gray Corvette Coupe with ticket #481. We sold all 1,000 available tickets! Your next chance to win a Corvette is Thursday, August 3 when we raffle off a 2017 Black Corvette Convertible! Tickets are $100 and the raffle is limited to 1,500 tickets. We've sold 350 tickets so far. NCM Kartplex is now open! Call (270) 777-4509 for hours of operation. Cost is $20 per 8 minute session (15-20 laps). Requirements are 60" or taller (unless providing a valid drivers' license) and closed toe shoes. The NCM Kartplex is also available for private and corporate events. Call (270) 777-4554 for rates and availability. It may be 24 weeks until Christmas, but now's a great time to think about a special custom gift for the special Corvette enthusiast in your life. We offer tempered glass ornaments made from your photo. Have the perfect shot from a car show win, or a candid pic from a visit to the Museum? Turn it into something they'll love to hang on the tree. 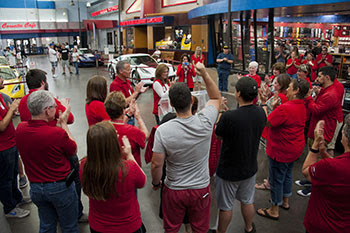 Opt in to the Corvette Store emails to receive all the deals with our Black Friday Sale! 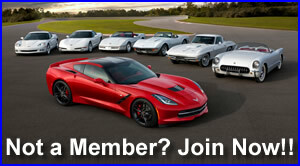 Click the "profile center" link at the bottom of this email to add yourself to our Corvette Store email list. View a complete list of events with more information and links to register on our website here.